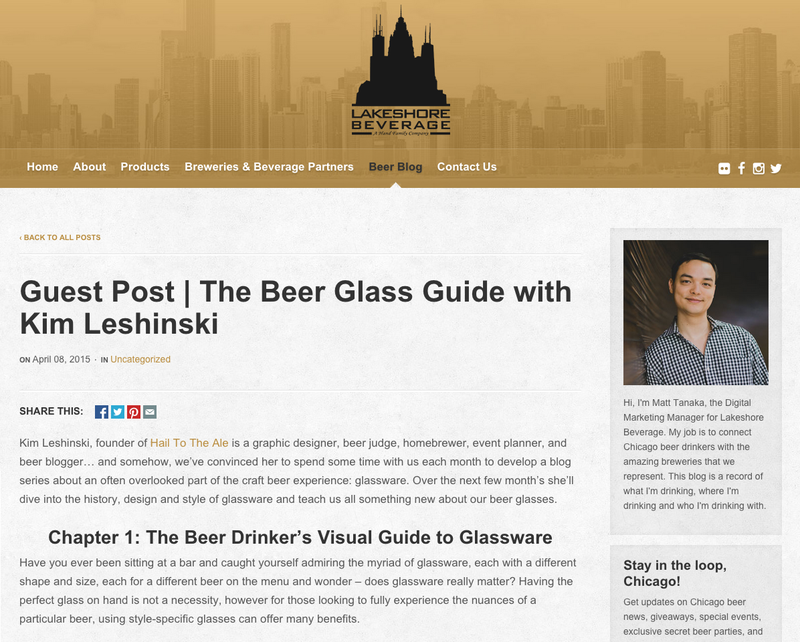 I've recently embarked upon a new guest blog series with the passionate folks at Lakeshore Beverage, featuring an often overlooked aspect of beer – glassware. Much like beer itself, the vessels have been around for centuries and have evolved over time to accommodate beer drinker's needs, as well as trends in the structural materials. Many books have touched on glassware, but my mission is to dive deeper into some of the world's most popular styles, sharing their historic and aesthetic significance. Part of this exploration was creating a visual reference guide in the form of a designed infographic. To read the full story and view the graphic, check out our first post on Lakeshore Beverage's blog. Fest Review: The Second Annual What the Firk?